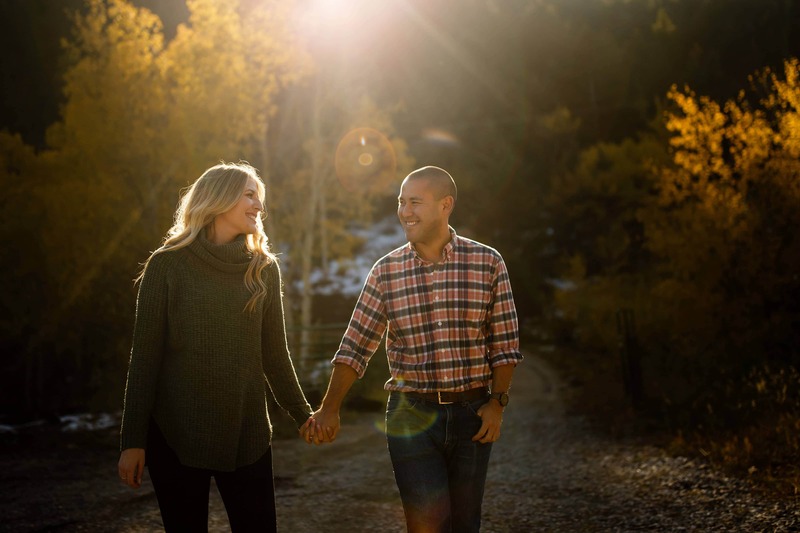 Paige and Adam have been looking forward to the fall colors for their Golden Gate Canyon State Park engagement since I met with them earlier this year. We had another location picked out initially but the early season snow forced us to change dates and locations. 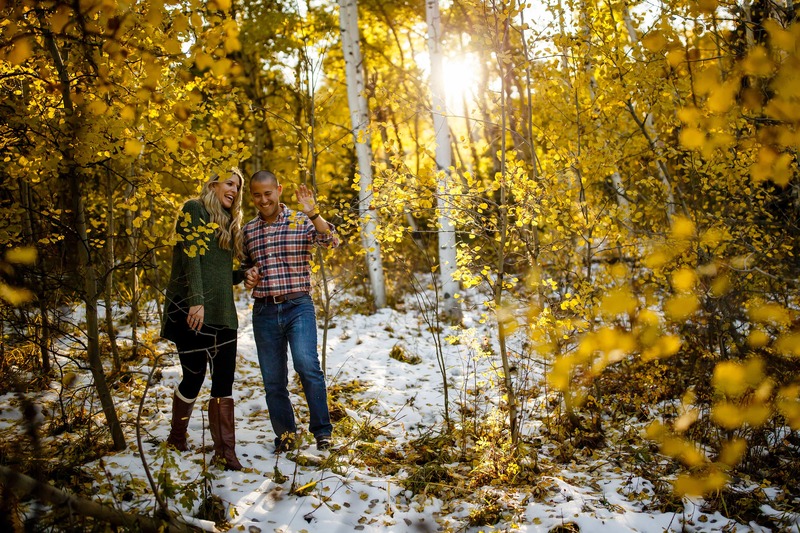 It all worked out in the end because their session was full of screaming sunlight and yellow aspen trees. 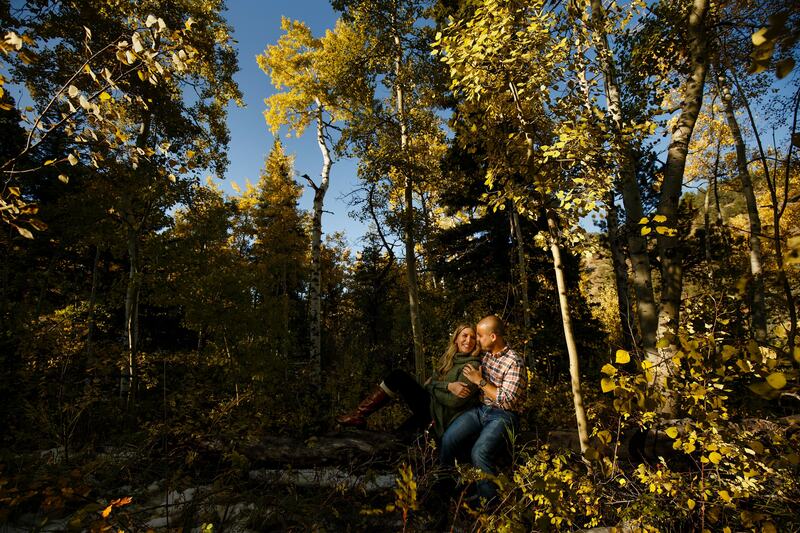 I shot another fall colors engagement in the park earlier this month but the trees had only begun to change. We met up at Cannonball Creek Brewing and after they downed some liquid courage they jumped in my car and we drove up the canyon road in search of some epic locations. Before we could even get into the park we pulled over twice to take advantage of the fall foliage roadside. The recent snow had knocked some of the leaves off the trees but most were still full and vibrant. 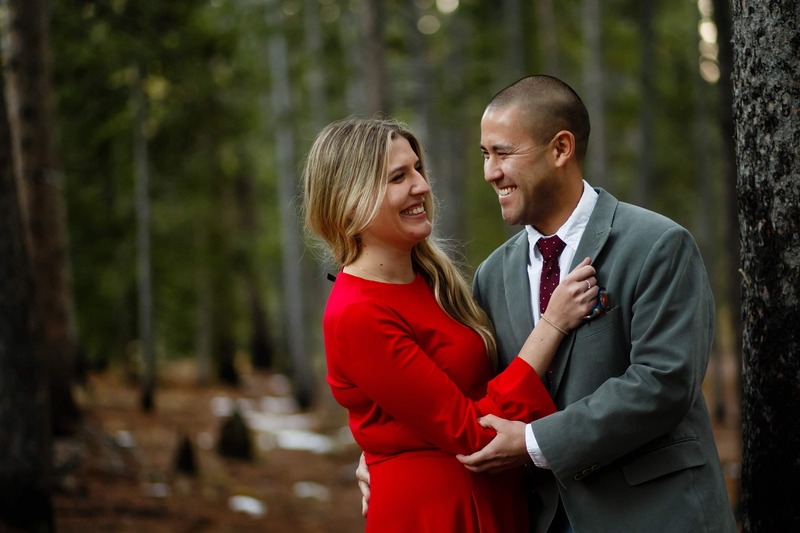 Once we reached the park they changed and I’m glad that they did because Paige’s red dress popped against the colorful aspens. We found a fantastic grove of saturated color up Mountain Base Road near the Mule Deer Trail. Adam and Paige walked around the area for more than 30 minutes as I captured them from every unique angle that I could find. The sunlight was warm and inviting while the blue sky added some contrast to the images. 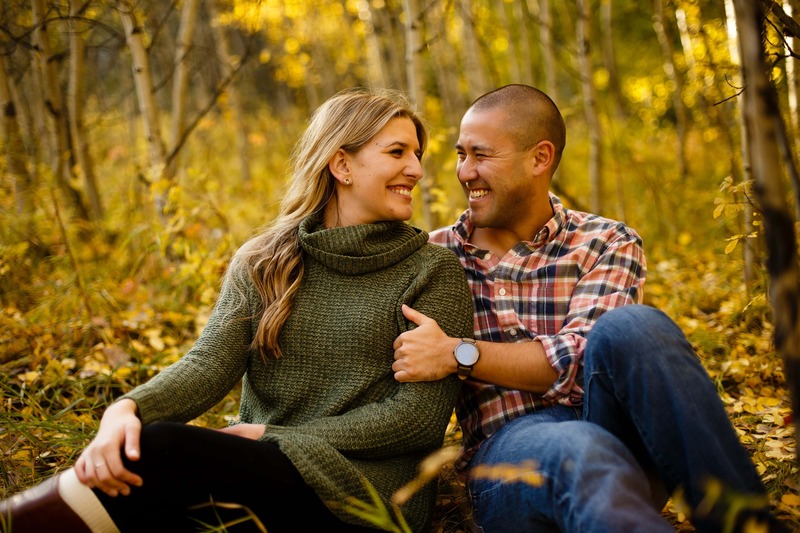 After the sun set behind the hills we drove up close to Gap road where I found some evergreen trees that provided something different for the session. The light was falling fast so I got a flash out of the car to shoot something completely different than what we shot all afternoon. 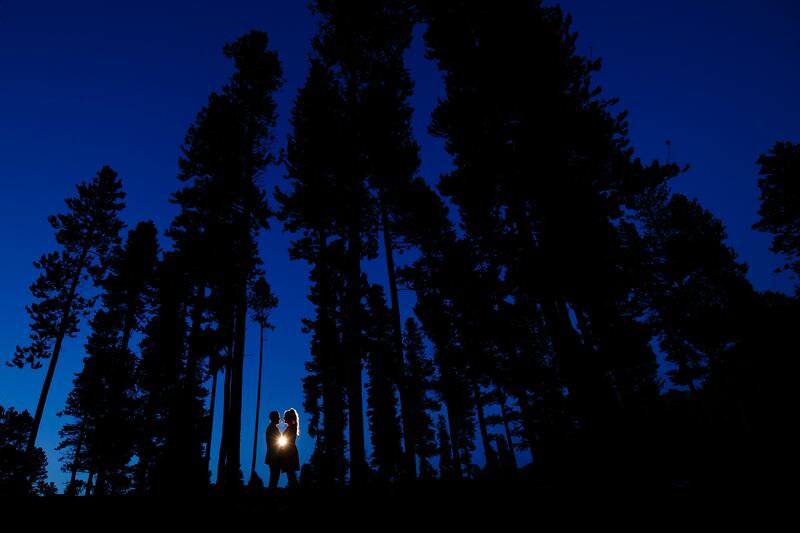 The gaps in the trees and clear sky made for a spectacular final image of the session. 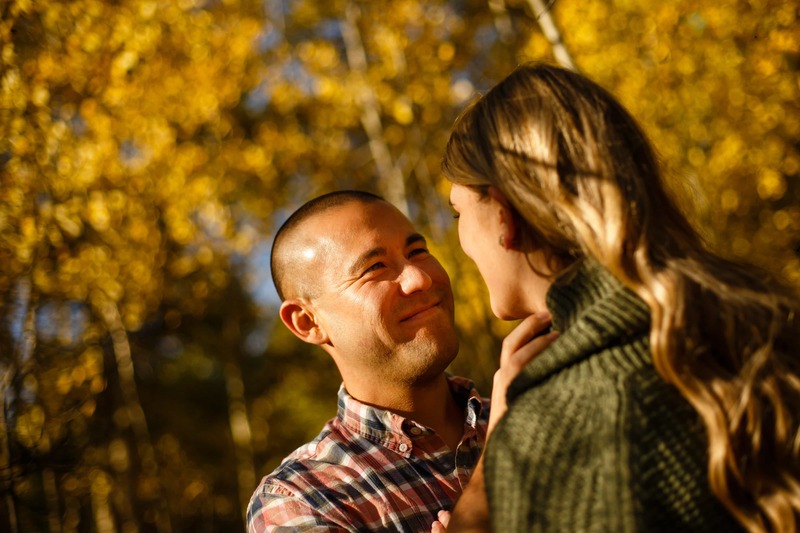 Thanks for allowing me to capture your Golden Gate Canyon State Park engagement session you two. I’m excited for your Deer Creek Valley Ranch wedding next summer.